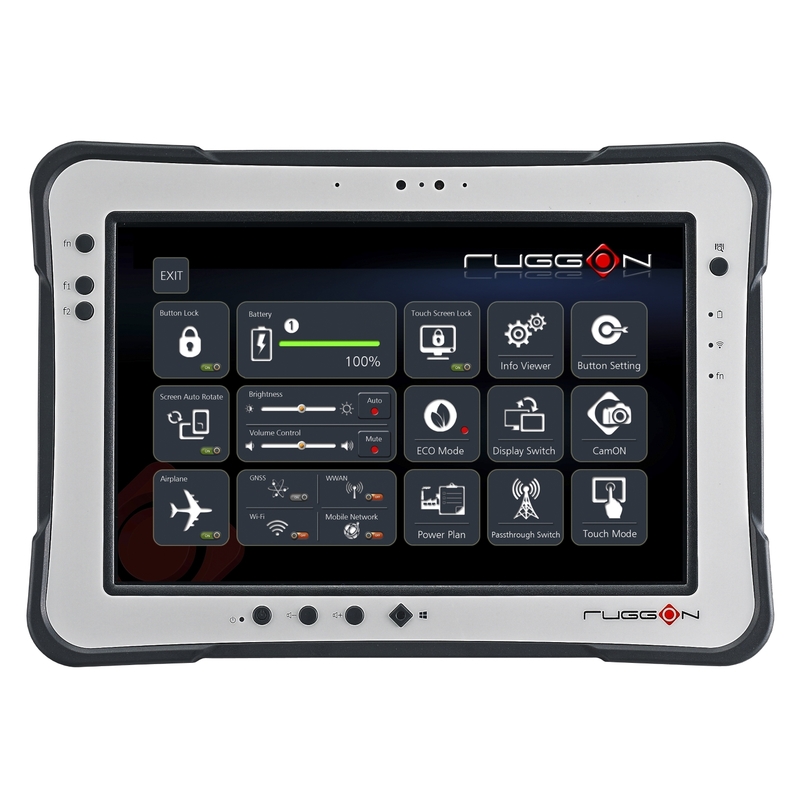 Taipei, Taiwan, February 7, 2018 – RuggON Corporation, a leader in the design and manufacturing of ruggedized computing products, is proud to present the best-selling, third generation Rextorm PX501. It is a single terminal, ready for any data collection, control, and management application, even in the harshest environments. The Rextorm PX501 is equipped with a powerful Intel Core™ i5 based on the latest 14nm Intel Kaby Lake architecture, a huge range of seamless connectivity and data capture options, and a practical touch screen display with bright, 1000 nits, sunlight readable display. Thanks to its massive battery life, ubiquitous GNSS coverage, and custom accessories allow for maximum mobility and off-base operation, while being backed by RuggON’s hallmark uncompromising ruggedness, it allows for extended off-base operation. 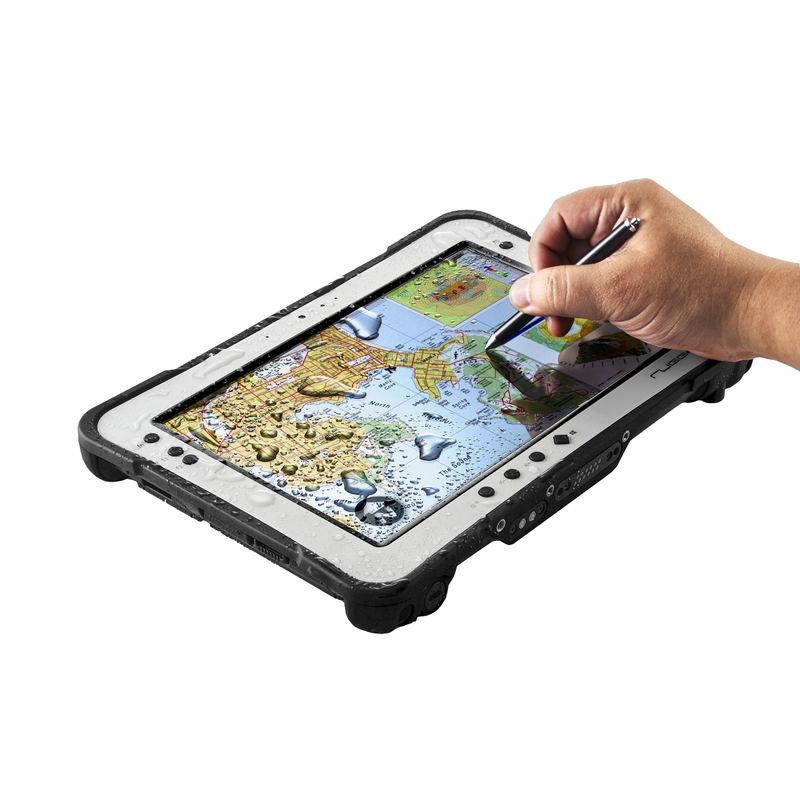 As the best-in-class rugged tablet for virtually every scenario, the Rextorm PX501 thrives in construction, field maintenance, law enforcement and robotic or factory control, the Rextorm PX501 works anywhere humans work. 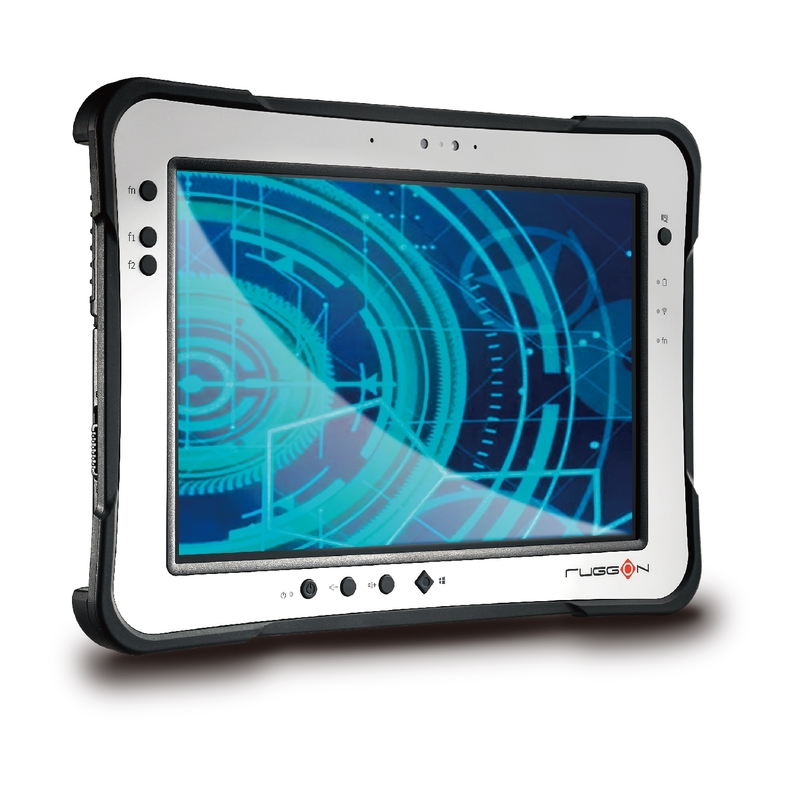 The Rextorm PX501 features a 10.1-inch, 1000-nits bright, sunlight readable 1920x1200 WUXGA display with selectable automatic dimming, covered with tough and durable Corning® Gorilla® Glass. The 10-point capacitive touch panel, supports use with gloves as well as optional Digitizer with IP54 pen. The Rextorm PX501 is powered by the user-friendly DashON interface, which puts critical operations at the users’ fingertips by saving time and making set-up a breeze. All-in-all, it is a tablet that can be used by anyone, anywhere. Name a common connectivity standard and the PX501 almost certainly has it. Dependable wireless connectivity through Bluetooth 4.2, 802.11ac Wi-Fi, and optional 4G LTE ensure the delivery of vital data. Wired I/O also supports the latest standards such as USB 3.1 Type-A and Type-C, as well as a RuggON’s docking connector for desktop and vehicle use. Navigation and positioning is provided by internal antennas for Global GNSS such as GPS, GLONASS and BeiDou. The integrated 2D barcode reader with optional OCR capabilities allows for easy, barcode, ID, and passport scanning, while the optional 2-in-1 snap-on NFC and smart card reader can be used for a plethora of scanning options in the field. Impenetrable ruggedness is the key signature of the Rextorm PX501 as it allows for operation in the harshest environments thanks to IP65 dust and water resistance and MIL-STD-810G shock and vibration certification (5 foot drop), as well as a wide operating temperature range from -20°C up to 60°C. 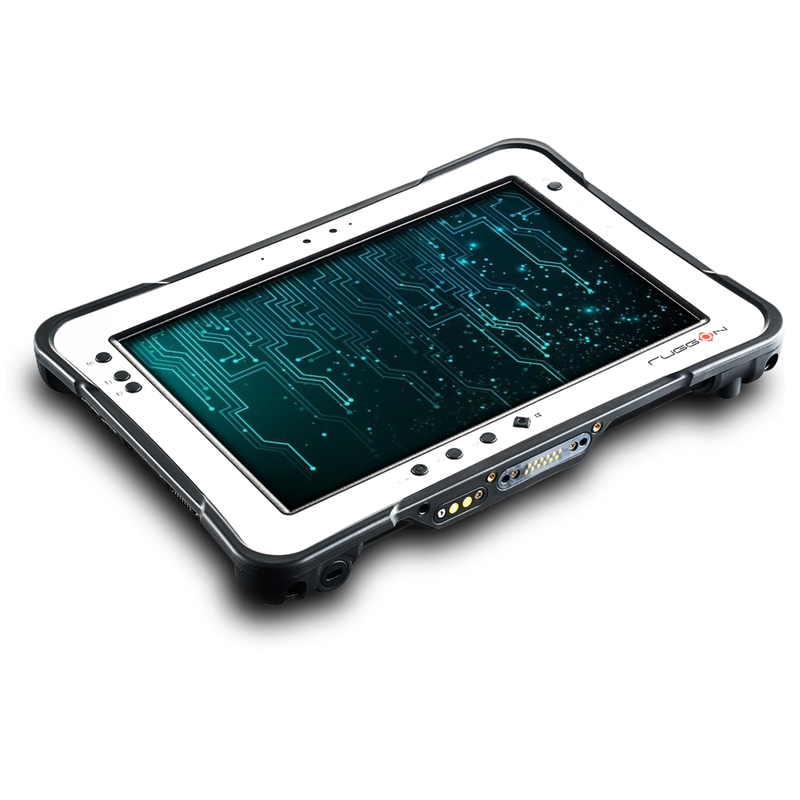 The most remarkable feature of the Rextorm PX501 tablet is its long-lasting battery and updated performance. The standard battery is hot-swappable and the optional extended battery allows for up to 23 hours of operation which, thanks to external quick-charging allows for near indefinite operation in the field.